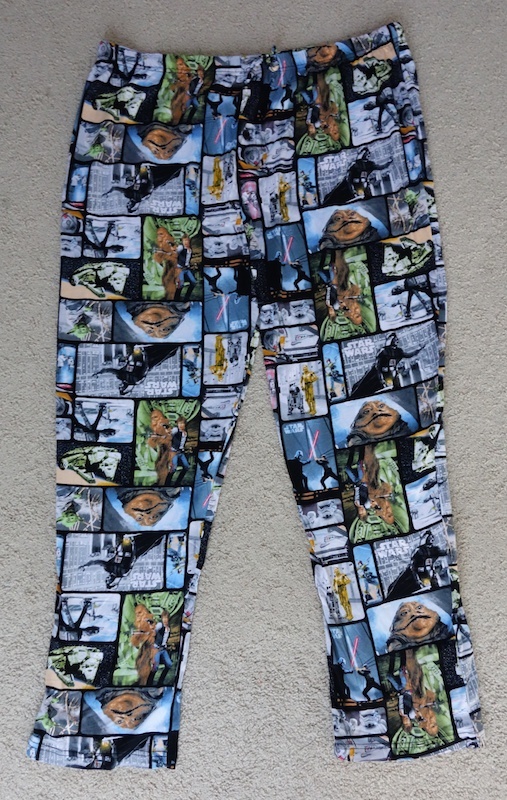 I have a secret ambition to get every possible article of clothing in a Jabba design, but pants have been very elusive (as have underpants, but that’s another story). 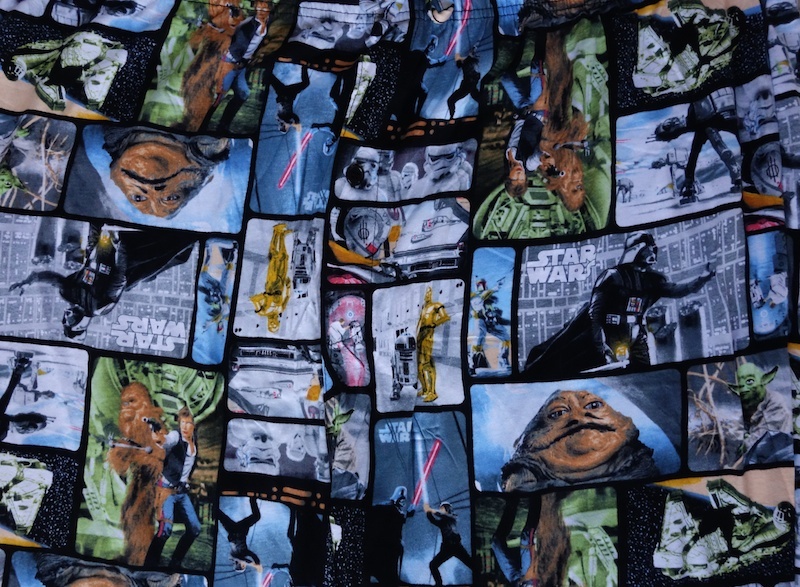 So I was happy to find that Briefly Stated, a company that has released a variety of character sleepwear and underwear, had made these sleep pants that feature Jabba rather prominently. It’s not quite the same as having a pair of pants that are completely Jabba-themed, but I doubt that’s going to happen. 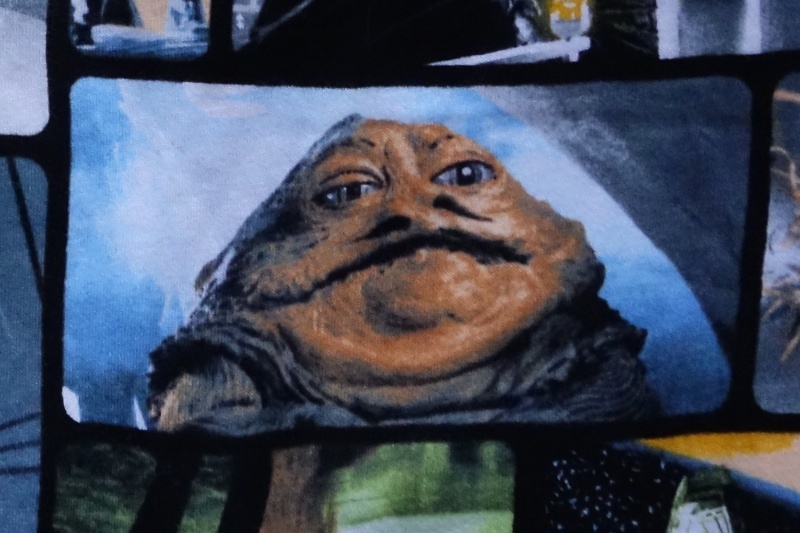 Still, by my count there are 16 Jabbas on these pants. Not bad! The design is a little on the… busy side. Still, they have a lot of iconic scenes and characters from the original trilogy. They’ve basically used stock photos, but their color palette has been reduced so that some of them look a little odd. Han Solo appears to be wearing lipstick, and Jabba has blue eyes. I like that they have character sleepwear and underwear for adults these days. It’s a subtle sign that being a geek is a bit more socially acceptable than it might have been 10 or 20 years ago.